The European Institute of Management & Finance is delighted to offer online training for Levels I to III of the Chartered Financial Analyst (CFA®) Program. Quartic was founded in 2006 by Nicholas Blain, CFA, former global CFA Program Director at Kaplan. Quartic is a London-based firm operating internationally and, in addition to preparatory courses for the Chartered Financial Analyst (CFA®) examinations, offers financial markets training in preparation for other financial examinations. Quartic remains focussed on its vision of an approach to education that inspires candidates to surpass a level of understanding merely sufficient for exam success. If delegates are inspired by the instructor and presented with an intuitive understanding of finance, their enhanced knowledge will extend benefits to their clients and employers, as well as themselves. Quartic’s aim is to provide its candidates with the highest quality of learning resources delivered with the maximum amount of flexibility to enable delegates to study consistently around their schedules. We pride ourselves on our industry-leading teaching methods and graphic-rich materials that benefit candidates with an inspiring learning experience as well as the best possible chance of examination success. Quartic’s philosophy is to provide long-term benefits to candidates, their employers and their clients, by teaching inspirationally and by providing an intuitive understanding of finance to delegates. Exam candidates, for the CFA Program in particular, gain knowledge far beyond the requirement of the curriculum, and avoid the need to learn endless formulae robotically. The USPs that separate Quartic from other CFA providers are (i) inspirational teaching, (ii) materials, (iii) support, and (iv) value. Inspirational teaching: We teach with a passion. Providing candidates with a deep understanding of finance and financial concepts will provide them with a long-term understanding, not just short-term memory. This will add considerable value to employer organisations as well as enhancing candidates’ career prospects. Materials: We have invested many person-years into creating teaching materials that we believe are unrivalled globally. Complex descriptions are turned into clear graphics, aiding the intuition without oversimplifying the concepts. Each year our entire suite of products is reviewed and fully updated to reflect any changes in the curriculum. Support: We support our client candidates face-to-face, by phone, e-mail and Skype. We keep our switchboard open in the evenings leading up to each exam, and respond to e-mails typically within one business day. Value: Our team puts enormous resources each year into enhancing the CFA and other exam products to ensure outstanding value for clients. Additional support and candidate discussions are part of our day-to-day work and we will not limit the amount of extra help candidates can request from us. At Level I, Quartic teaches the foundations of finance with a significant emphasis on the analytical tools. The main benefit of this level is a deep understanding of financial reporting that enables analysts to “un-cook the books” and get behind the numbers. Quartic emphasises the links between the ten topics within the curriculum: for instance an understanding of bonds requires knowledge of quants, equity valuation hinges directly on the financial statements of a business, and economic analysis impacts many aspects of asset valuation. Level II is often seen as the toughest technical level of the CFA Program. However, building on the solid foundation provided at Level I, Quartic provides the step-by-step technical knowledge as well as the inspiration to make this next significant step both achievable and immensely rewarding. Much of Level II focuses on asset valuation: fixed income and derivative models that can, prima facie, look extremely complex, are broken down into highly logical and intuitive components via Quartic’s clear and incremental learning process. The final stage of the CFA Program, Level III, has a strong focus on wealth planning and portfolio management. There is less focus on the analytical subjects (accounting and quants in particular), which are treated as assumed knowledge. Asset valuation is a key part of Level III, though the roles of equity, fixed income, derivatives and alternative investments are very much viewed from a portfolio perspective, e.g. how these investments help to achieve clients’ objectives. 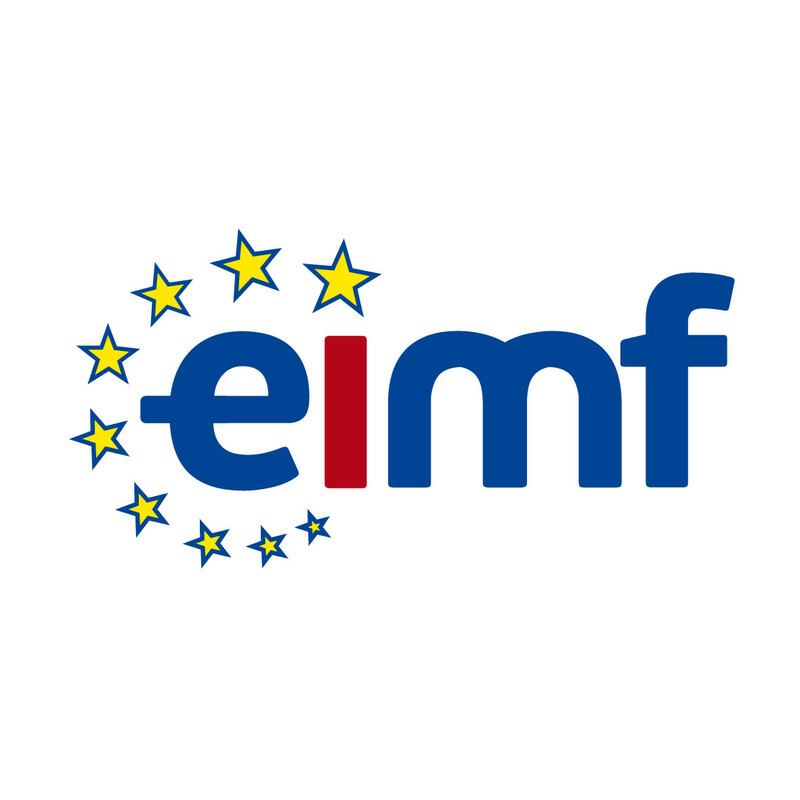 EIMF will deliver study materials (online and print) and training for all three levels of the CFA Program. CFA materials can be accessed using the Quartic Online platform where candidates find the materials relevant to their course. Our first solution for you is a Distance Learning package which would provide candidates with in-depth self-study solution at a very reasonable price. Video Library: comprehensive tutorials covering every learning outcome statement and every reading within the CFA curriculum. Inspirational tuition, including many worked examples. There are 50 to 70 hours at each level, covered in four Education modules. At Levels I and II these include more than 600 questions embedded within the videos. Printed Workbooks four volumes, including all slide decks from the video library plus fully worked solutions. The workbooks are designed to allow candidates to write their own notes. Question Banks: exam-style questions covering all readings, with fully explained solutions. Summary Chart and study guide to help candidates to monitor their progress. Progress Tests: short timed exams covering each of the modules. Calculator Tutorial step-by-step video guide to all functions of the Texas Instruments BA II Plus (basic and professional) calculator. Progress Dashboard where candidates can track their results. Printed Revision Workbook and Question Bank. Mock Exam, available for printing and online with fully explained solutions. 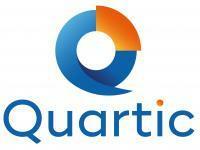 Full dedicated support from Quartic for any technical queries. Cost: €900 (Euros) per candidate plus €60 shipping costs. Our second solution for you is a Live Online Learning package which would provide candidates with a fully comprehensive educational solution at an extremely cost-effective price. Education Course: Webinar access to 16 live three-hour classes, plus unlimited access to class recordings (available within 24 hours of the end of each class). These run twice a week between February and April for the June exam, and between August and October for the December exam. Revision Course: Live five-day (30-hour) broadcast from London via webinar and available within 24 hours of the end of each day. Strong focus on exam technique and question practice. Our training is delivered online or face-to-face, pre-recorded or via live webinars by our team of tutors who are subject experts across finance, investment and accounting topics, as well as having extensive experience in the “buy” and “sell” sides of the financial sector. This experience enables tutors really to bring the different topics to life for candidates and thereby greatly enhance their learning experience. Nicholas has more than 25 years’ experience in the Financial Markets Sector following his graduation in 1990 from Queens’ College, Cambridge with a degree in Mathematics. Nicholas set up Quartic in 2006. Every year, he writes world-class training materials to supplement CFA Institute’s curriculum to make the transference of knowledge easier, and to provide long-term practical benefits in the workplace. As Chief Executive, he is proud to have built a business founded on quality of tuition and excellence of client service. Outside class Nicholas is treasurer of an investment partnership, successfully disproving theories of market efficiency. His guru is Warren Buffett, who is on a distant corner of Nicholas’ family tree. He is a trustee of a charitable foundation. Duncan has over 25 years’ experience in financial markets and has held senior positions at leading financial institutions including Rothschild and Threadneedle Asset Management. His experience spans all major asset classes including fixed income, equity and property investment. Responsibilities have included investment strategy formulation, portfolio construction, treasury management, risk analysis and the use of derivatives for position taking and risk management. Duncan was a member of the CFA UK’s examination panel for over ten years, having had particular responsibility for the Fixed Interest and Economics subject areas for the Investment Management Certificate (IMC) qualification. Dianne has been a Financial Training Instructor since 2003 and has both designed and delivered training programmes for clients across the retail banking, investment banking and corporate finance sectors. Specifically, she has provided training on a range of accountancy and financial services programmes including CFA, ICAEW Corporate Finance, ACCA, IMC, CISI and the Chartered Banker Diploma. Not only is Dianne a CFA charterholder and a fellow of the ACCA, she also has an MSc. in Accounting and is a certificated member of the Chartered Institute of Bankers in Scotland. In addition, Dianne has successfully completed the IMC, the CISI’s Certificate in Corporate Finance and Certificate in Securities. Friederike has over 5 years’ experience in the Financial Markets Sector following her graduation in 2010 with a First Degree in Mathematics from the University of Warwick. Having already had extensive teaching experience in her last year at university, where she both taught new content and marked assignments, in August 2014, Friederike joined Quartic as a Financial Markets Tutor. Since joining Quartic, Friederike has proven herself to be a valuable member of the team, easily capturing and holding candidates’ attention with her engaging and inspiring delivery style. She also supports Quartic’s on-going product offerings through writing course content.